Robyn Swinton is moved to remote Cornwall with her family. On one of the last days of summer, in a beautiful secluded cove Robyn is drowning. She is saved by local boy Jago Winters, and it is a moment that will change both of them forever. This is a book like no other I’ve read before. It’s stunningly written and brutally honest. A real masterpiece written from the heart. Not only are the characters lovable and real life like but the descriptions of beautiful Cornwall and its beaches was one of the highlights and makes me want to go there and see it in person. This is very much a love story, a will they won’t they, can they can’t they story that literally had me reading right through the night because I couldn’t leave it down. The relationship between Jago and Robyn is so gripping and addictive that you can’t help but wish them together. The book takes you over seven years of their relationship. It sees them always passing each other, always on the periphery of each other and never quite together, but always on each other’s minds. The relationship that Robyn has with Eliot is interesting in the respect that she seems to mother him more than anything. It’s like she falls into a life with him where she says what he wants to hear in order to make things work, even though it becomes quite obvious that the relationship won’t last. Parts of the book are heart breaking and will genuinely reduce you to tears. It covers some real hard hitting aspect of life that some people face on a day to day basis and the author does a beautiful job of keeping it professional and heartfelt. I loved that the characters felt they were good enough and strong enough to follow their dreams and also their hearts. The connection that Robyn had with the ocean was one I can relate to and in a way, as a reader, I was glad of that as it got her through some rough times. 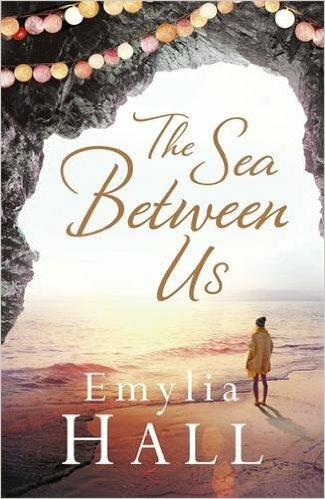 Emylia Hall has delivered a vivid, mesmerising and striking love story. A very definite 5 stars. Thank you to Netgalley and Headline for my advanced reading copy of this book.